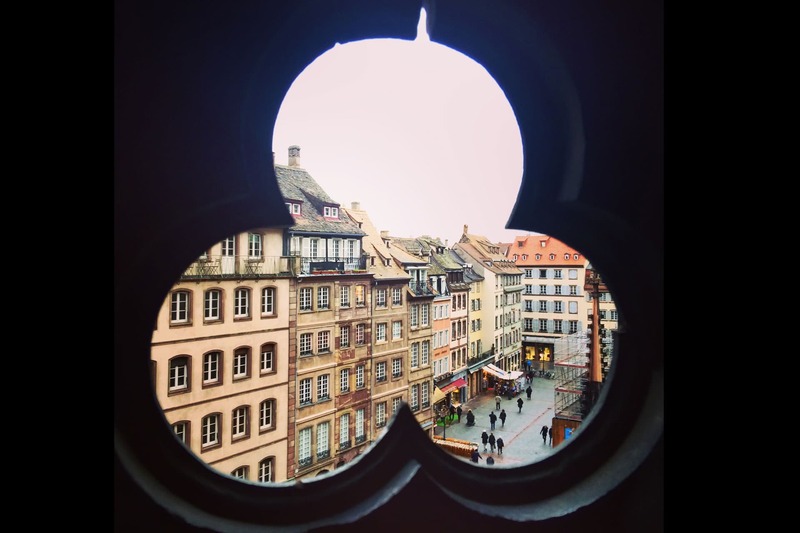 Hope you all had enjoyed the first post of Strasbourg and in this post we are going to share What You Can Do In Strasbourg. 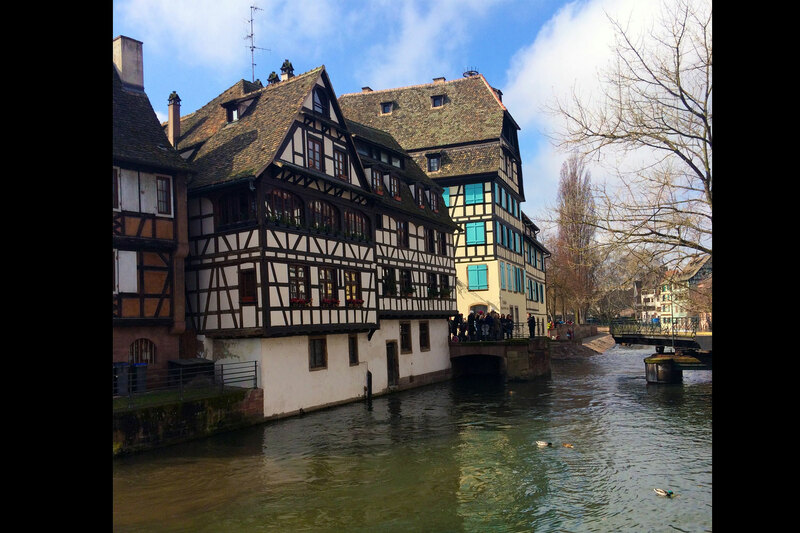 Now, let us bring you into the beauty of Strasbourg! 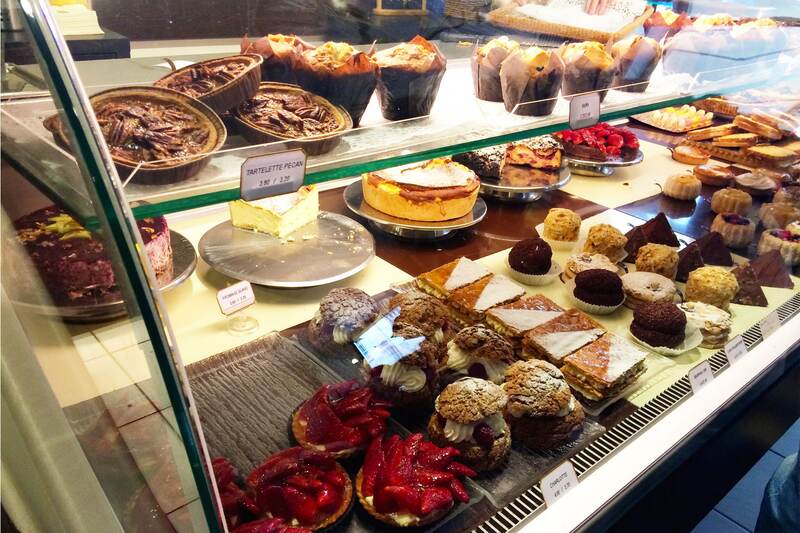 The pastries at La Part the! Are you feeling hungry already? The most beautifully plated Brunch i ever seen! 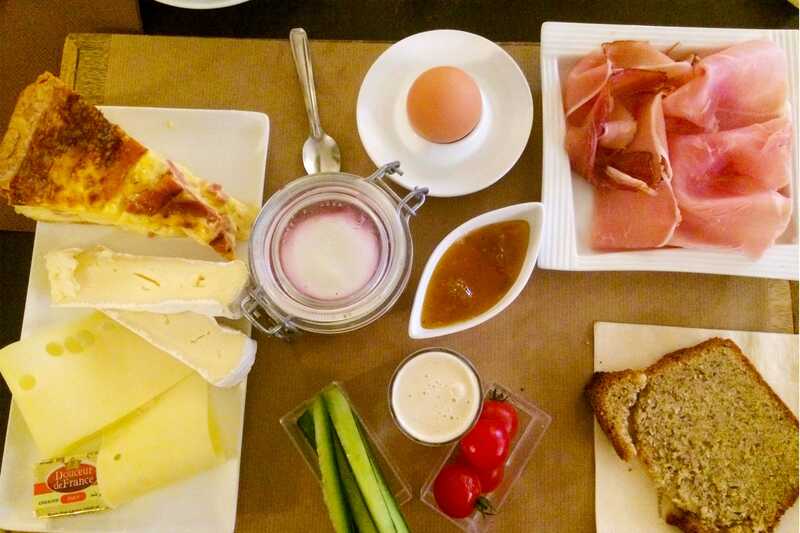 You know by the look of the brunch with the varieties of cheese on the plate is a french brunch! The portion was so big that it can be enjoyed by two!It’s like a queen’s brunch! Buy a Gift to remember the place! The best method to remember a place is to look at the souvenir that you bought! So get a gift for yourself at petite France! See the bridge open to let the cruise pass at petite France. Wait for the bridge to open at petite France, its like waiting for guard exchange at palaces! Marvel at the decorations of restaurants/cafe in petite France! Just from the look of the exterior,you know that the owners put in alot of effort in decorating their restaurant to attract customers.When i was there,the flower truck that carried the day’s fresh flowers just arrived. 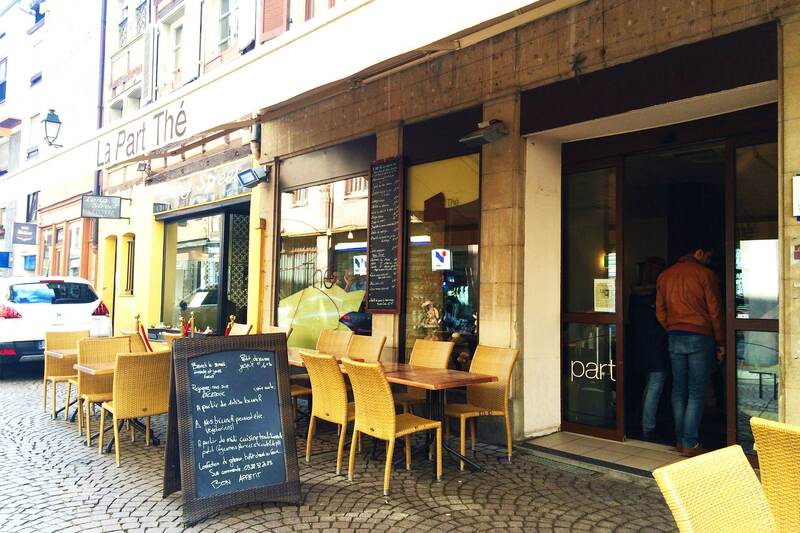 Every corner of petite france will give you surprises and you will never be bored while exploring the place. 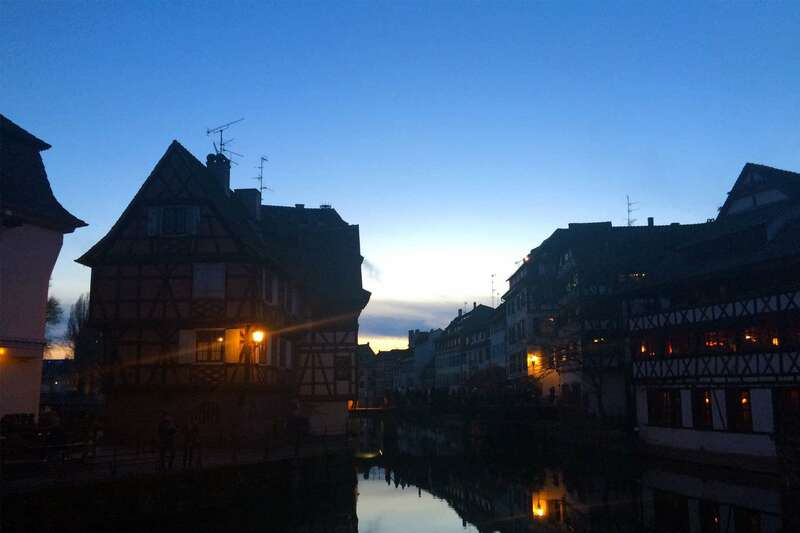 Sunset glow on the half timbered houses! 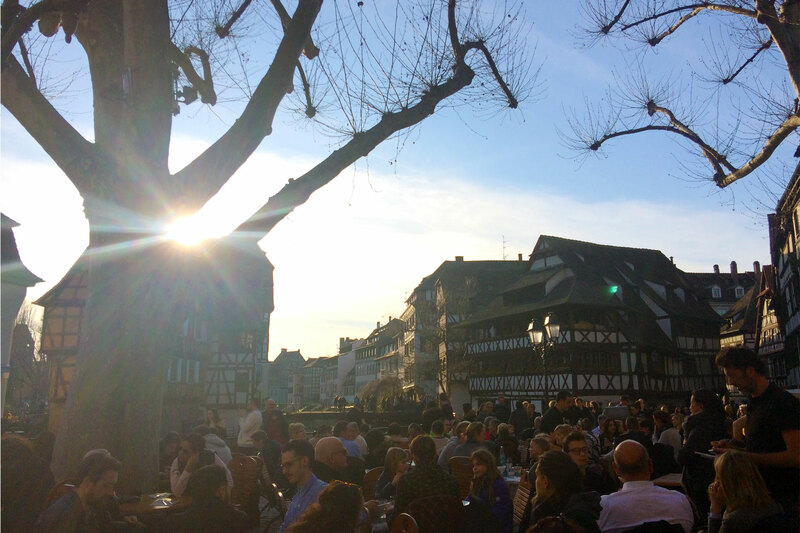 Wait for the perfect sunset glow beaming onto the half timbered house at petite France. 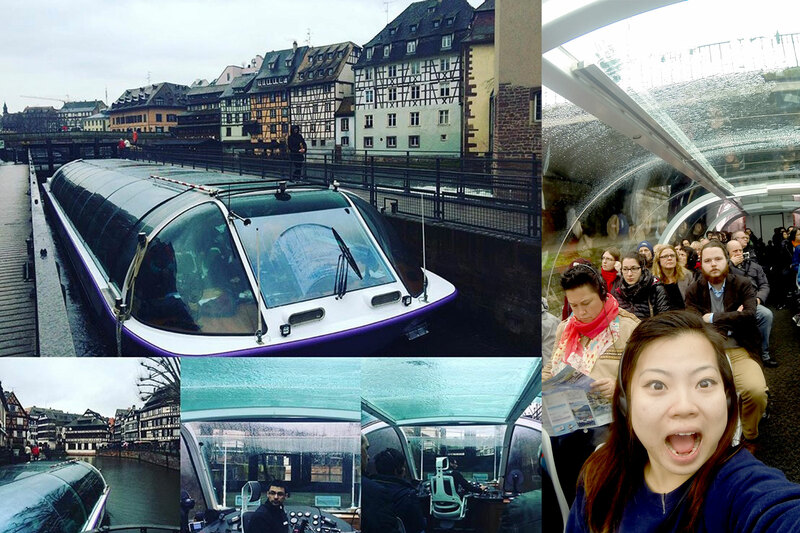 Be Friendly, wave at tourists on the boat passing by you! Do your people watching while waving to the tourist on the cruising boat! 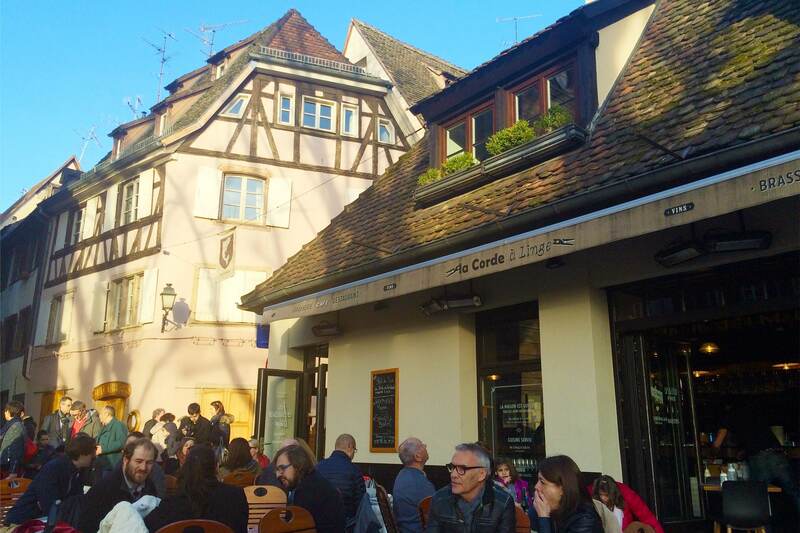 Have a romantic Alsatian dinner at Petite France watching people and sunset. Dinner at the La corde a linge(meaning clothes line),recommended by my airbnb host.Read from a lot of travel books and they have one of the best place to have dinner! Look at the crowd you will know its popularity! La Corde A Linge ( Locals recommend this to anyone who want a slow and nice dinner.Please call to reserve to avoid disappointments. This is a place that cannot be missed when you are here!The food is affordable and is top notch! 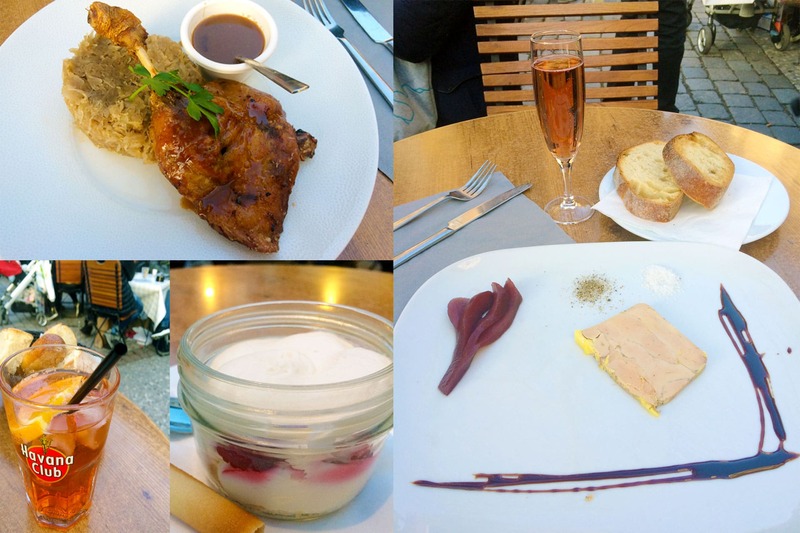 I had the region’s famous foie gras, with a local champange, duck confit as main, tiramisu for dessert and Spritz to end! Wonderful and delicious dinner! Sunset while having a slow and perfect dinner! 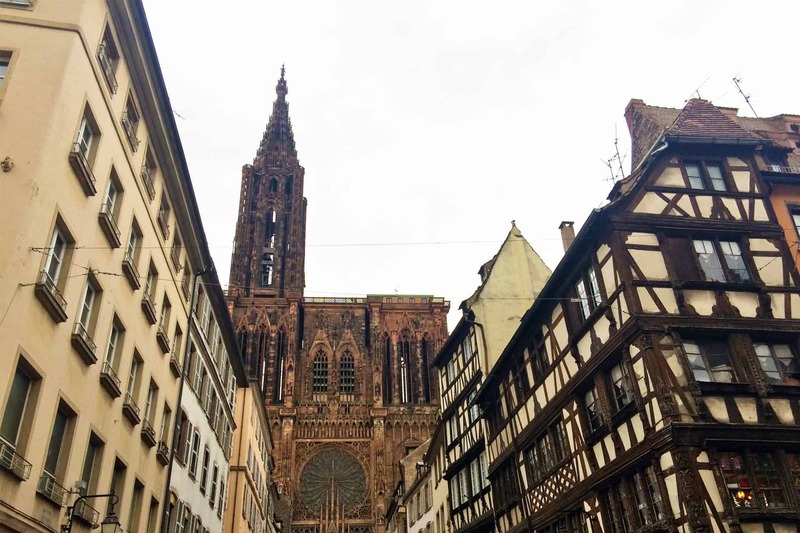 Visit the most important cathedral in Strasbourg, The Notre Dame of Strasbourg. 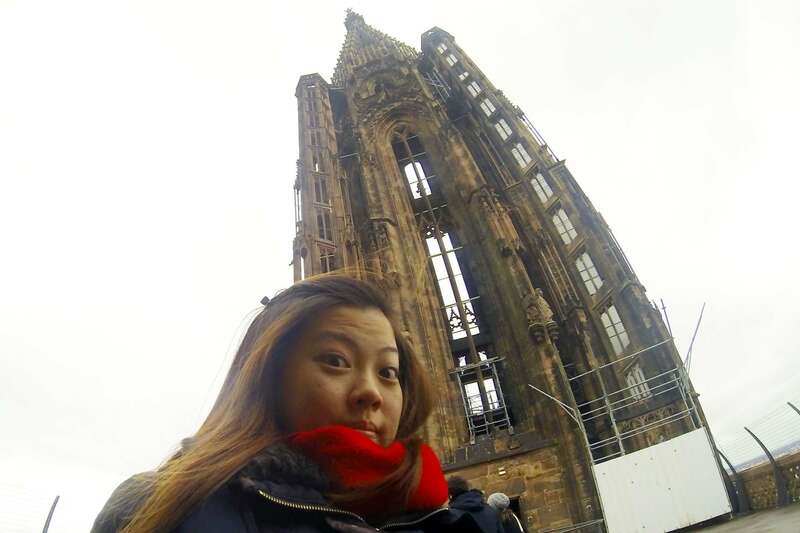 Marvel at the wonders of the architecture of the cathedral.At 142m high, it’s tower was one of the tallest in the 1800s.Built in the 12th century and took 300 years to finish the whole cathedral.It’s free admission open from 7am to 1115am and 1245pm-7pm.The midday is closed for people who want to see the 15th century astronomical clock with a 2euro entrance fee.For me i would skip the clock and pay 5 euro to go up to the Cathedral’s platform to get an amazing view of Strasbourg,the Alsace,the Rhine and the black forest! 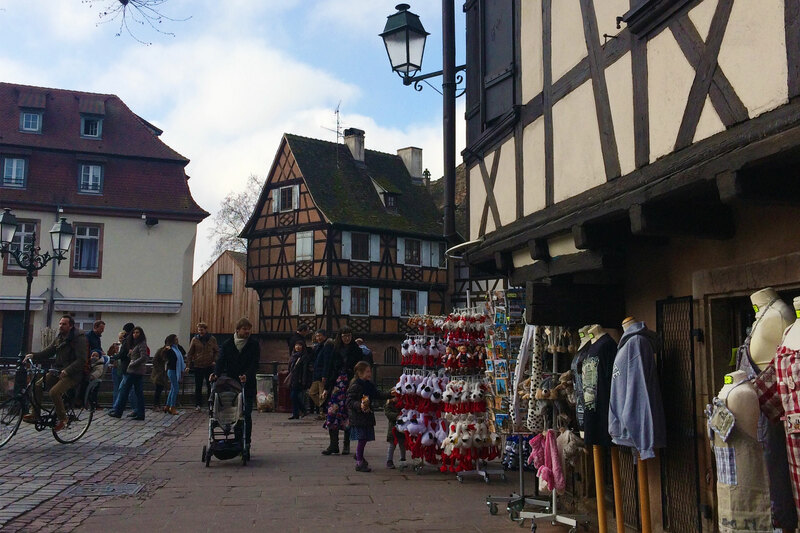 Walking towards the Notre Dame of Strasbourg! 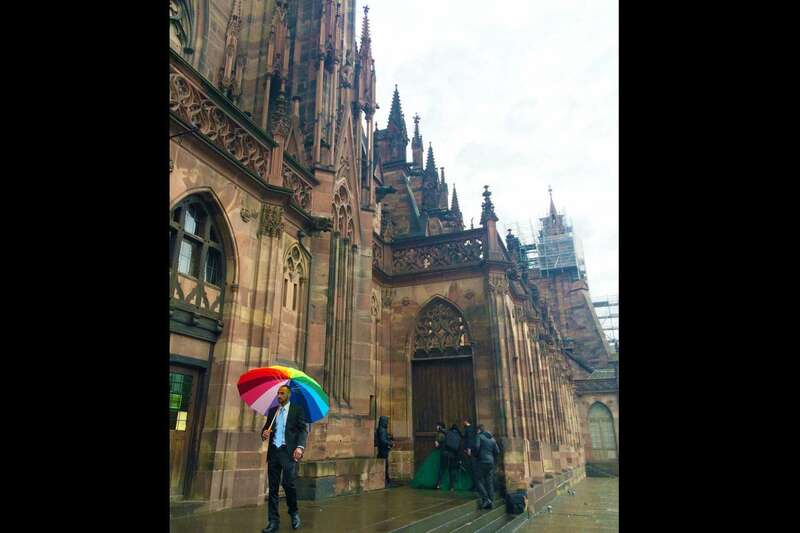 12th century Notre Dame of Strasbourg on a rainy day! Going into the Notre Dame! 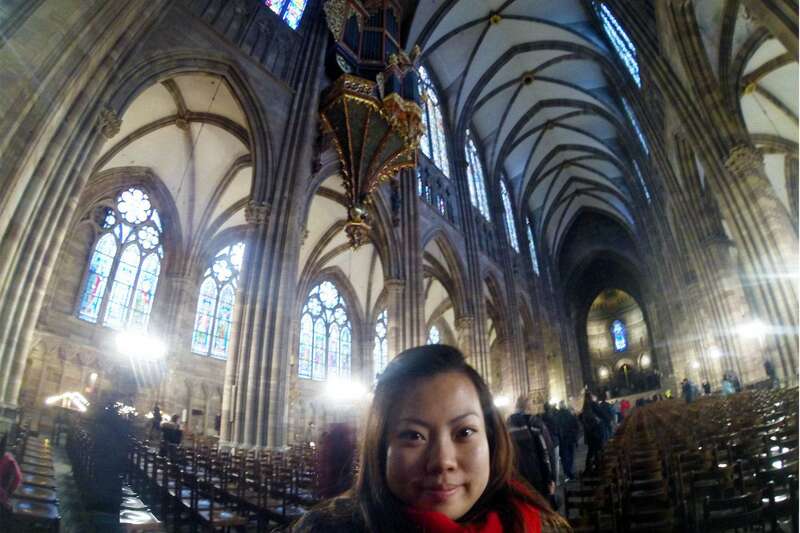 Interior of Notre Dame of Strasbourg! 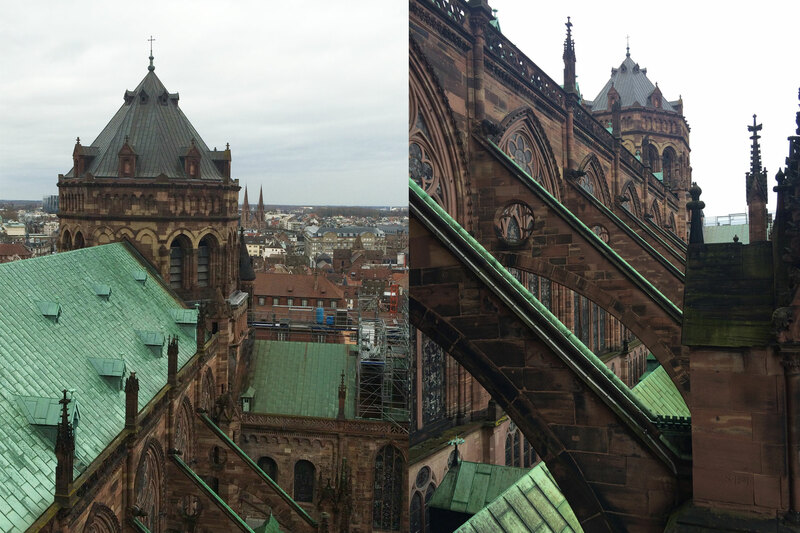 Climb the thrilling 332 spiral stairs of Strasbourg cathedral to reach the cathedral’s platform. 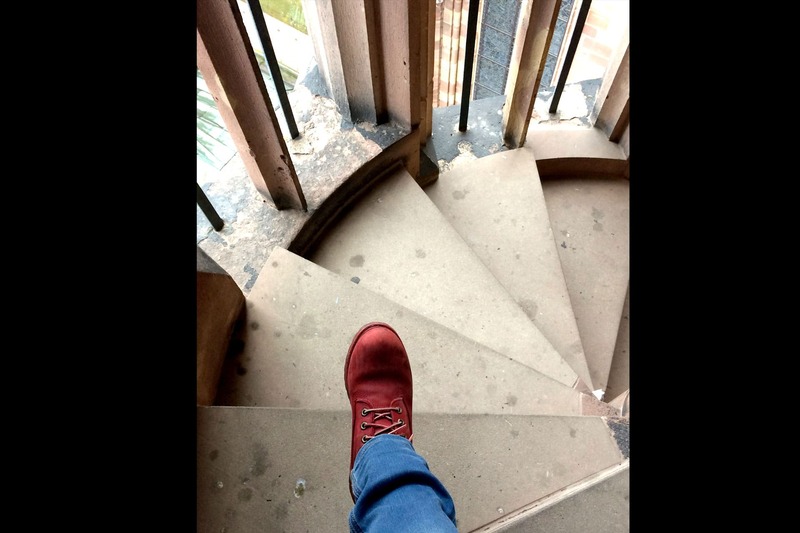 332 Spiral stairs up and down! Admiring the square from the windows while climbing up! 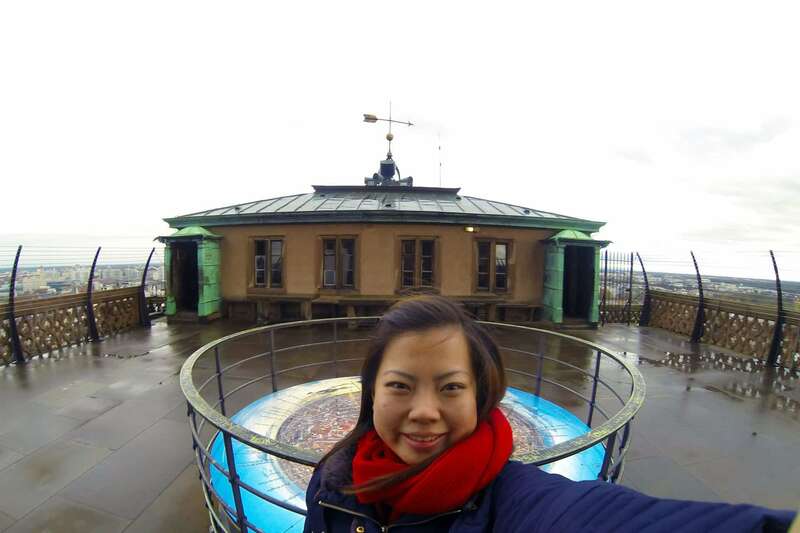 Reached the top of Notre Dame of Strasbourg’s Platform! Reached the top of the Platfrom! 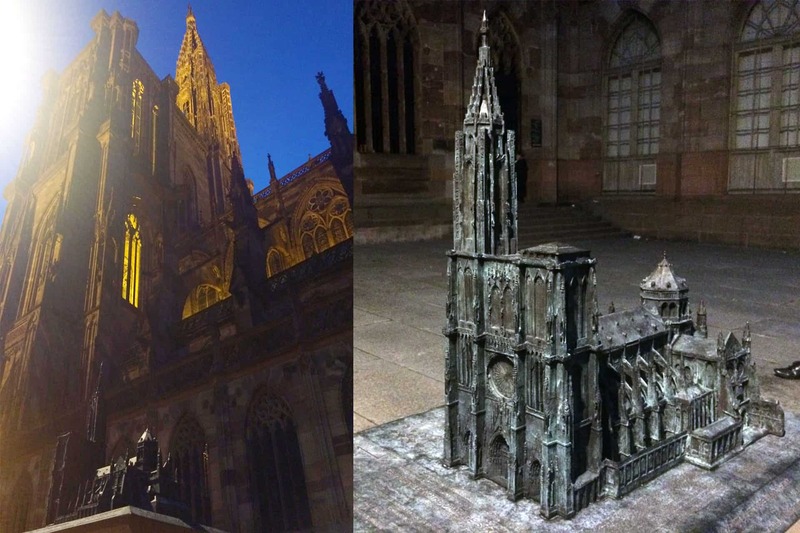 Admire the 1:125th scale bronze model cathedral with the backdrop of the real one. Notre Dame Bronze model against the Real one. 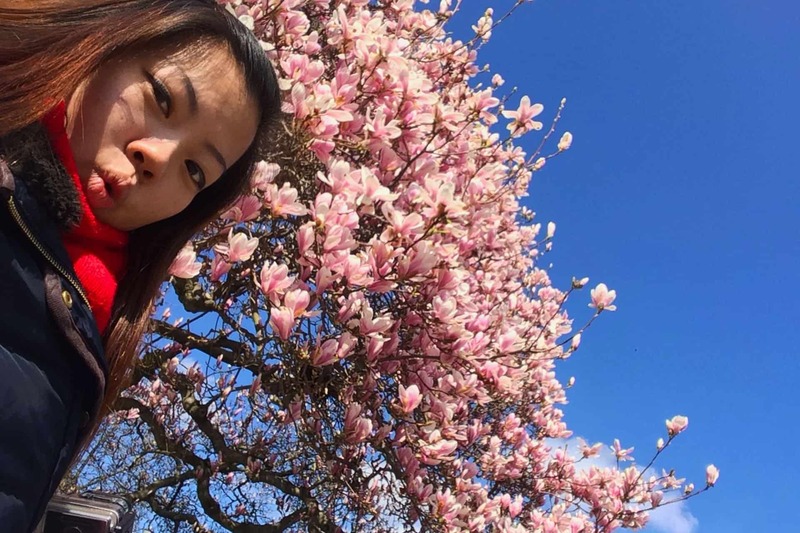 Have fun with taking selfies at the republic park in Strasbourg with the beautiful spring flowers! 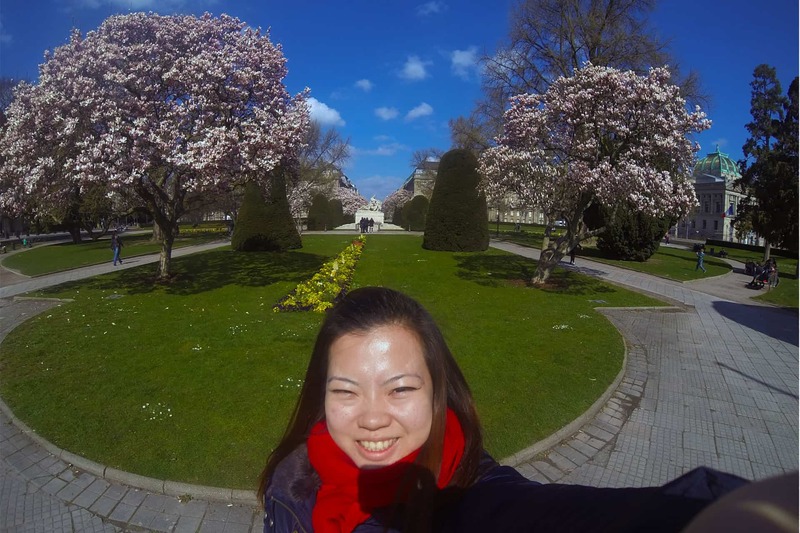 Republic Square aka Imperial square is one of the main square in Strasbourg.Most beautiful during spring time. Admire the moving rainbow at Parc de l’Orangerie( weather permitting). 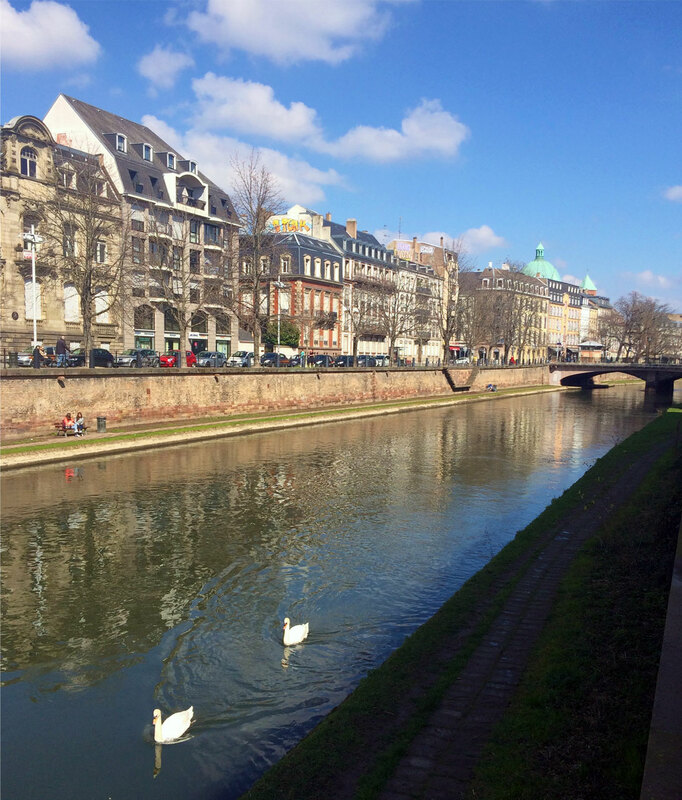 It’s a joy to see the swan glide through the canal against the beautiful backdrop of Strasbourg. 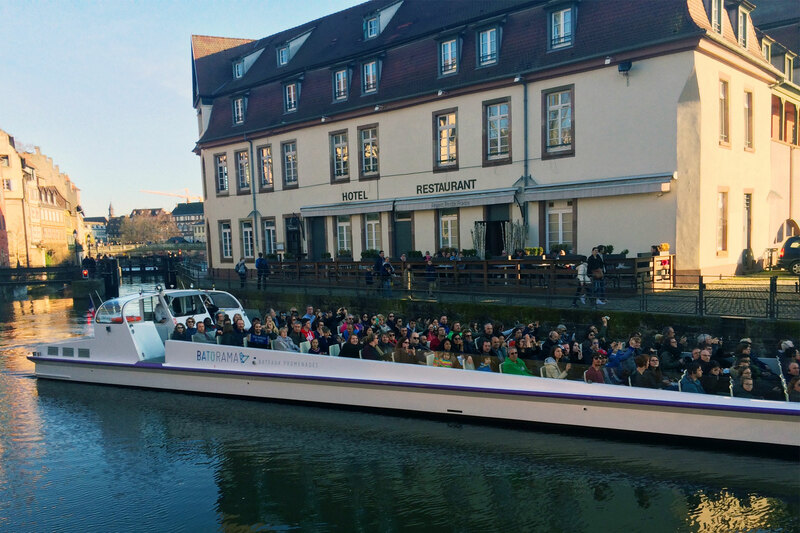 Glass topped canal cruise,not affected by the weather! Spot the white storks of Alsace to bring back some luck! A symbol of good luck, the White Storks of Alsace! 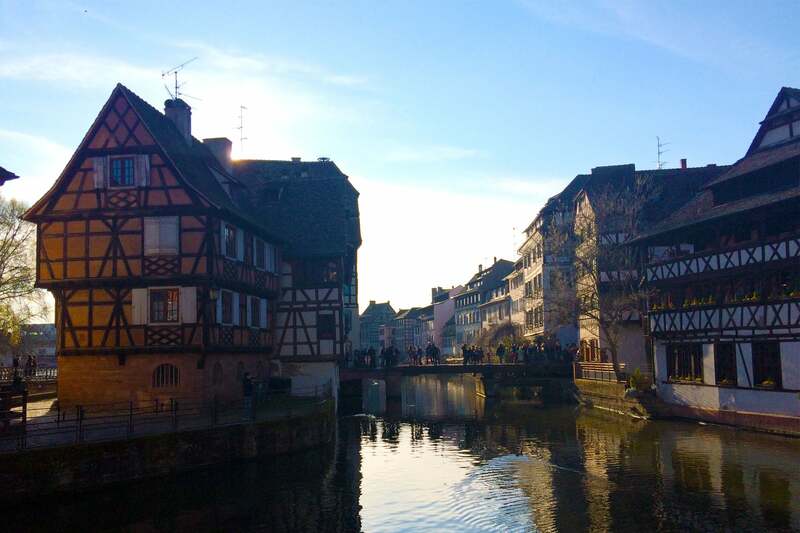 Today there are over 600 stork couples in Alsace, at least 50 on the rooftop of Strasbourg alone! 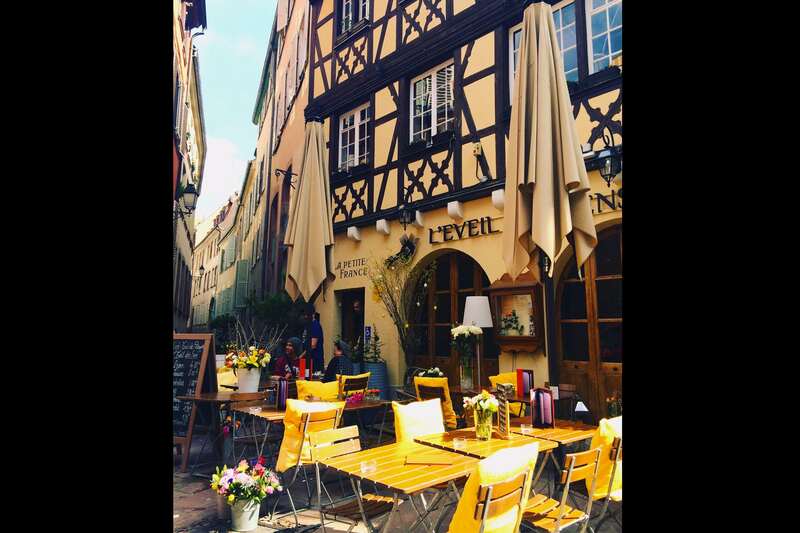 So when you are in the city, look up and spot some storks fluying above you or feeding their young on the rooftops of Strasbourg. To bring back lots of luck, visit the local zoo in Strasbourg and see them in action! So bringing back a stork souvenir is a Must In Strasbourg! 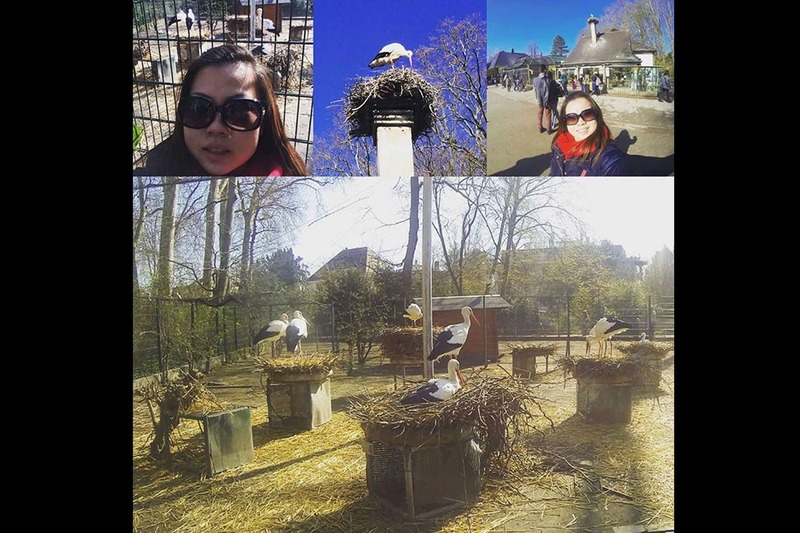 For me i bought a t – shirt with a stork at work, just to be get some luck whenever i want to! 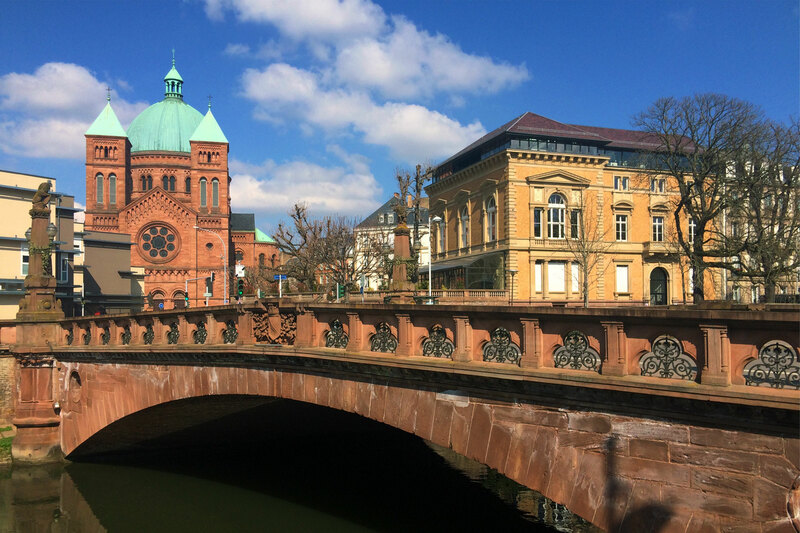 So if you had been to Strasbourg, share with us what you got back as a gift and if you hadn’t,you should definitely put Strasbourg in your list! Cheers to more unique adventures in all parts of the world and keep on travelling! 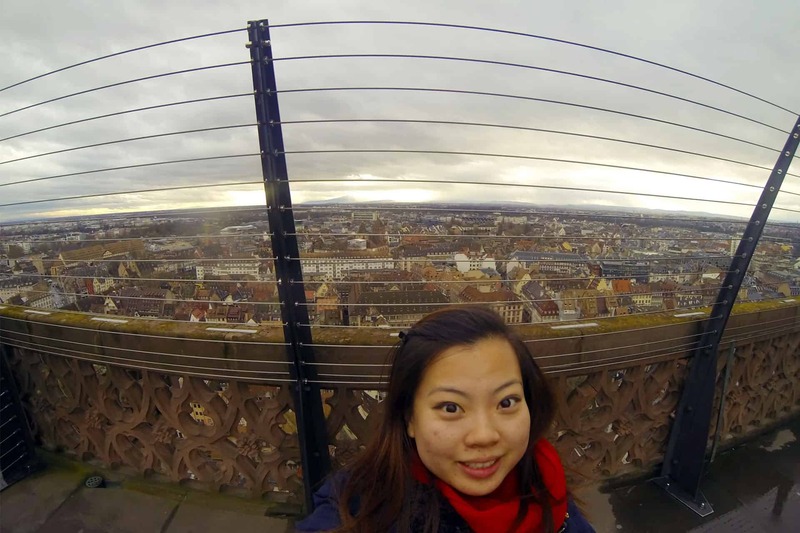 ← Exploring East of France, Romantic Strasbourg in Alsace(Part 1/2)!